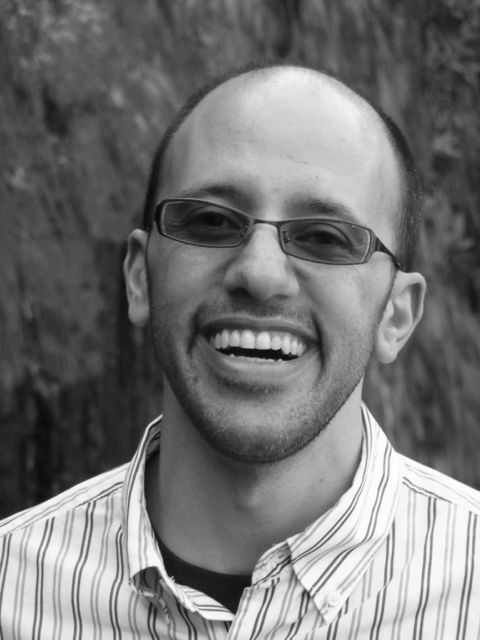 If you’re in Portland in April, please come out and join me at a couple of events. First, on Thursday, April 24 at 7:00pm, I’ll be reading with Dan Berne (The Gods of Second Chances) at Broadway Books. Then, on Tuesday, April 29 at 8:00 pm, I’ll be joining an illustrious group of readers at the inaugural Emerging Writers Showcase at Shaker and Vine. Added bonus: I’ll be reading new work at this event, from the new book Rider Keene. I hope you can make one or both of these events! Very happy to announce that I’ll be reading and playing a couple songs from The Sound of Songs Across the Water on Tuesday, November 12 at 7:00pm at Annie Bloom’s Books, a great independent bookstore here in Portland. 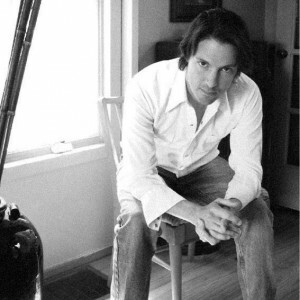 This event will be superextraspecial because I’ll be joined onstage by David E. Lane, singer/songwriter extraordinaire and producer of my record. So come on out to Annie Bloom’s and say hello. It will be a really fun evening of words and music. Just spent a week on the road doing readings for The Sound of Songs Across the Water. Here are some shots of the events. 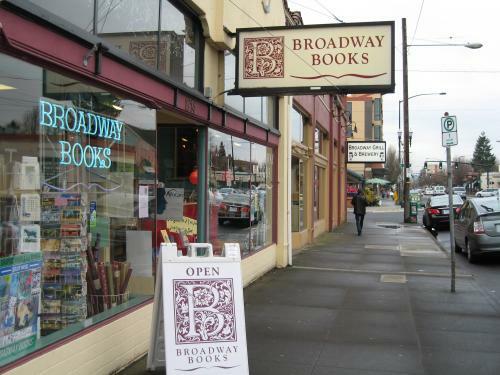 First up was the hometown shop, Powell’s Books on Hawthorne. 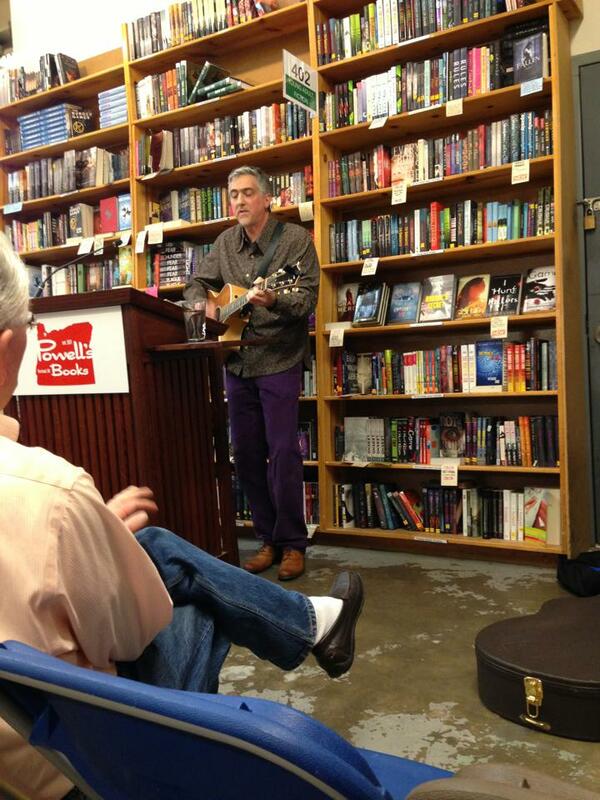 We had a terrific crowd, full of writers and otherwise curious and friendly folk, and I wore freakishly purple pants. I began by butchering the first song, “If the River Was Whiskey,” but apparently only David Lane noticed. Then I read Chapter 1, which took 13:52, according to my iPhone. Then—and this was the best part—came the Q&A. I guess because so much of the crowd were writers, the questions were interesting and plentiful. I got to talk a lot about craft issues involved with the book, which is always fun. Q&A ran for about 40 minutes! Then I played “Araby,” without too many mistakes, and we were done. 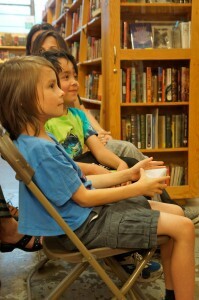 My son got to come see me play/read, which was pretty spectacular. I love this shot of him smiling (second kid from left), watching Daddy. The book is dedicated to him, which makes me feel just a tiny bit immortal. 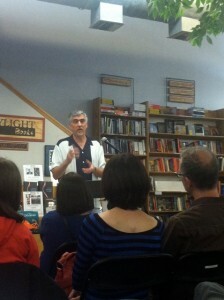 Then I flew down to the Bay Area, where I got to read at the remarkable Why There Are Words series in Sausalito. I was honored to be in the company of so many excellent writers on this night, and even happier to be able to catch up with old friends Peg Alford Purcell and Cass Purcell. Finally, down the coast we went to Los Angeles, where I got to read at my old neighborhood store, Skylight Books in Los Feliz (left). Another excellent crowd full of old friends from my L.A. days. It was a blast to play and read for everyone, and we sold a pretty good number of books here, too. Well, the Kickstarter campaign was a huge success! Thanks to everyone who contributed. We made more than twice our target amount, ensuring the band would be paid and the Irish whiskey flowing. We are currently almost finished recording. Mixing is set to start May 11, with mastering and duplication to follow. The record sounds great — I can’t wait to share it with everyone this summer. You’ll be able to hear songs from the record live at my readings in June, as I’ll be bringing my guitar and playing a tune or two on the road. Hope to see you there. I hope to see everyone at one of these events. I’ll be reading, signing, and playing a song or two from the record. Recording for Sing With Me, Brother, For We Have Sinned is set to begin Saturday, April 6, at the fabulous home studio of David E. Lane. Michael Jarmer will be on hand to put down the first drum tracks. Stay tuned for news of the Kickstarter campaign for the album! Dates will be posted as they are booked, but all of these readings will be in June. So come see me and say hello — I’ll be reading, signing, and maybe even playing a song or two from the record.